Review: I enjoyed reading more about Caroline of Ansbach, a British queen who deserves to be better known. Caroline was central to the House of Hanover’s public image in Britain as her husband George II and father-in-law, George I had little charisma or rapport with the British public. Caroline trained carefully for her future role while still a princess in Hanover, reading British history during her husband’s naps (the future George II was bored by reading or the sight of other people reading), requesting tea and taking English conversation lessons. 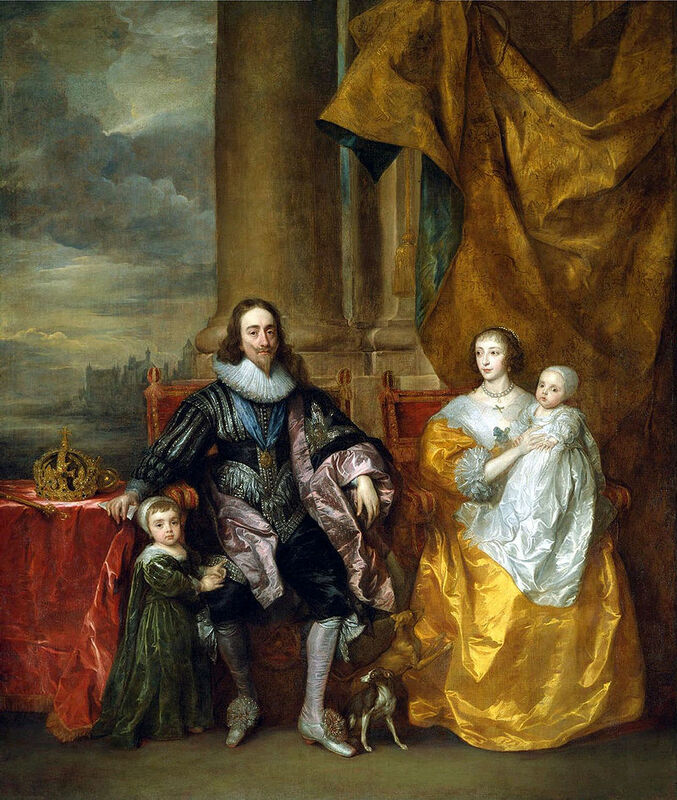 Dennison incorporates attitudes toward the queen in the popular culture of the period, which was fascinated by Caroline’s strong Protestant faith, large family and her perceived political influence. An interesting and engaging read. Review: An insightful and well written biography of Catherine Howard, the 5th wife of King Henry VIII. 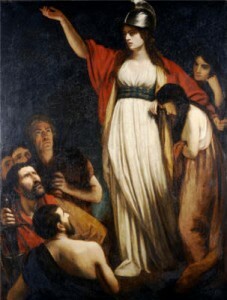 Most biographies of Catherine present her as a fool or a passive victim but Russell provides a nuanced portrait, explaining both her strengths as queen, including her mastery of court etiquette and courtesy toward others, and the reasons for her perceived weaknesses including her continued engagement with figures from her past who had the power to undermine her reputation. Russell is an expert on Catherine Howard’s household provides a vivid depiction of the Tudor court and a critical analysis of Henry VIII. The only section that I did not find entirely convincing was Russell’s account of Catherine’s childhood, which Russell describes as happy. He presents Catherine as a social leader within her step-grandmother’s household. Instead, Catherine seems to have been in a vulnerable position in spite of her rank because her mother was dead and her father was fleeing his creditors in Calais. Her situation, in the household of an inattentive guardian, attracted the attention of the arrogant, aggressive men whom she encountered in her adolescence. The concluding chapters are tragic as Catherine’s past and present conduct comes under scrutiny and she meets the fate of her cousin, Henry VIII’s 2nd wife Anne Boleyn. Russell describes these events in thoughtful detail and reveals how her execution was perceived at the time. The book is well worth reading as a study of the role of the queen consort, religion and politics during the later years of Henry VIII’s reign. Review: A balanced short biography of a famous medieval king. Asbridge does not ignore Richard the Lionheart’s flaws as a king including his quest for personal glory at the expense of other objectives but he convincingly challenges the idea that Richard was uninterested in his role as King of England. Richard ruled a vast Anglo-French empire but England was the jewel in his crown and he introduced new aspects of English kingship including “the royal we” and the custom of dating reigns by regnal year. Asbridge argues that Richard would have a very different reputation if he had been able to return to England immediately after the Third Crusade instead of being taken captive and held for ransom. I would have liked the book to have included a little more about the king’s personal life. His queen, Berengeria of Navarre is only mentioned in passing even though she accompanied him on the 3rd Crusade and there is little sense of his social circle or his interests beyond literature and waging war. In all other respects, Richard I: The Crusader King, is an excellent contribution to the Penguin Monarchs series. Review: A short biography of Henry II that emphasizes his achievements in holding together the Angevin Empire and initiating legal reforms that would shape the development of English common law. Barber makes clear that Henry was more than Eleanor of Aquitaine’s husband and Thomas Becket’s adversary though there is extensive analysis of church and family conflict throughout the book. Barber divides the book into three sections – Henry’s appearance and character, his life story and his achievements – and the final section should have been expanded to highlight the specific legal developments discussed in the text. Barber achieves a good balance between the personal and the political and readers will come from the book with a good sense of Henry’s character and kingship. Review: An old fashioned royal biography that recounts various aspects of Francis’s life and reign, especially his foreign policy, without much additional analysis from the author. Frieda describes wars, peace treaties, dynastic marriages and contacts between rulers but rarely brings these details together to assess Francis’s overall strategy toward kingship. The book is filled with historical figures who are more interesting than Francis himself including his mother, Louise of Savoy, sister, Marguerite of Navarre and artist in residence, Leonardo de Vinci. Frieda argues that Francis is more worthy of the description “Renaissance Prince” than his contemporary King Henry VIII of England and the book provides a sense of Henry VIII’s dealings with the France from the French perspective. A worthwhile read that would have benefited from more analysis of Francis and his policies. Review: An excellent scholarly biography of Queen Juana I, daughter of Ferdinand and Isabella. Juana has gone down in history as Juana la Loca and most biographies and cultural representations of the Queen focus on her mental health instead of her sovereignty. In contrast, Fleming examines Juana’s political significance as Queen of Castile and places her within the context of sixteenth century attitudes toward female rule in the Iberian peninsula and beyond. I found the background concerning Ferdinand’s family particularly interesting as one of his half sisters had been imprisoned by his father because her determination to exercise her rights over her mother’s inheritance threatened his rule. A similar pattern unfolded in Ferdinand’s treatment of Juana. Well written, well researched and interesting to read. Highly recommended. Review: A wonderful short biography of Queen Elizabeth I. Dr. Helen Castor looks behind the Queen’s confident public image as Gloriana and examines her precarious position over the the course of her reign. The fates of Henry VIII’s six wives are so well known today that the probable impact of these events on Elizabeth I’s sense of her own position and her attitudes toward marriage are sometimes overlooked. Elizabeth experienced a treacherous path to the throne and a series of threats to her authority over the course of her reign. I thought the author’s comparison of Elizabeth I and Mary, Queen of Scots was especially illuminating. The book is filled with interesting facts, such as how Queen Elizabeth I’s accession is the only time in English history when heralds cried, “The queen is dead, long live the queen.” Highly recommended. Review: A balanced introduction to King Henry VIII’s reign that includes both Henry’s strengths and his “deadly impatience.” Guy incorporates the latest research concerning Henry and his reign including medical analysis of his ulcerated leg and difficulty fathering surviving children. The book provides an especially detailed discussion of Henry’s public image and the contrast between Henry’s “delusions of grandeur” and his comparatively marginal significance in continental European politics. 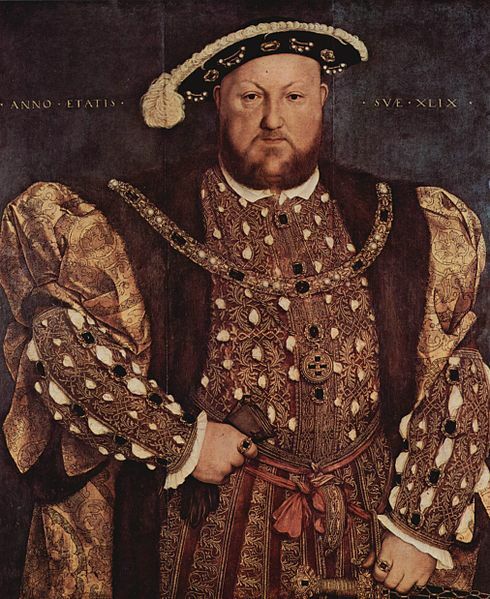 I disagree, however, with Guy’s conclusion that Henry was “the most remarkable ruler ever to sit on the English throne.” I would give that distinction to his daughter, Queen Elizabeth I. Review: An excellent study of change and continuity in Tudor queenship during the reigns of Henry VII and Henry VIII. Renowned Tudor scholar Retha Warnicke emphasizes the importance of Elizabeth of York’s role as queen during the reign of Henry VII, challenging the idea that the queen was completely overshadowed by her mother-in-law, Margaret Beaufort. Since Elizabeth of York died before her son Henry VIII became King and married six successive wives, she is rarely compared to her daughters-in-law even though her experiences as queen set precedents for subsequent Tudor queens. The book is arranged thematically, examining coronations, incomes, households, family life, religious activities, patronage, court entertainments and burials. There are a few points where I disagree with Warnicke’s interpretations of source material. 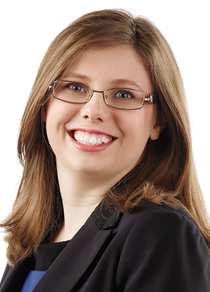 For example, she describes Mary Boleyn as Anne Boleyn’s younger sister while I agree with evidence cited by other historians indicating that Mary was the elder of the two Boleyn sisters. Overall, I found the book extremely informative and fascinating to read, combining the experiences of Tudor queens consort with the life cycle of elite women of the fifteenth and sixteenth centuries. Review: This short biography of King Edward VI provides a good overview of the child king’s portraits, writings, interests, social circle and education but there are key themes from his reign that receive comparatively little attention. Aside from a final chapter about Edward VI’s changes to the line of succession to favour his cousin, Lady Jane Grey, there is little analysis of the lasting impact of Edward’s strong Protestant beliefs and policies. His interactions with his sisters, the future Queens Mary I and Elizabeth I, also received comparatively little attention. The Further Reading sections provides some useful suggestions that address these themes in the King’s reign. Review: An excellent introduction to the reign of Queen Mary I. For centuries, Mary has been dismissed as a “Bloody Mary” and compared unfavourably to her half sister and successor Elizabeth I. Recent scholarship has emphasized her achievement as England’s first uncontested female ruler. In common with his longer biography of Mary “England’s Catholic Queen” for Yale University Press, Edwards, an expert in Spanish history, carefully analyzes Mary’s Catholicism, Spanish influences (including her mother Catherine of Aragon and husband Philip II) and her place in continental European politics. The focus of this short biography is Mary’s education and reign and there is little attention paid to her personality beyond the traumatic impact of the breakdown of the marriage between Henry VIII and Catherine of Aragon. Review: A richly detailed historical novel about King Henry VIII’s first wife, Katherine of Aragon, filled with sumptuous gowns, banquets and jewels. The novel begins with Katherine’s arrival in England to marry Henry’s elder brother Arthur and Weir shows the cultural differences between the English and Spanish royal courts. Weir also captures the atmosphere of Tudor England, especially the court entertainments and tournaments presided over by Henry VIII. While most novels about Katherine of Aragon focus almost exclusively on the breakdown of her marriage, Weir shows Catherine’s full range of interests such as her patronage of scholars and her wide social circle including Maud Parr (mother of Catherine’s goddaughter and Henry VIII’s future 6th wife, Catherine Parr), Margaret, Countess of Salisbury and Maria de Salinas, Lady Willoughby. The prose is sometimes repetitive as the reader learns again and again that Catherine dislikes Cardinal Wolsey and favours an alliance with her nephew, Emperor Charles V, and key characters sometimes come and go with little explanation but overall, the novel is engaging. The audiobook is well read by Rosalyn Landor although the narrator sometimes overemphasizes the Spanish accents of Catherine and her ladies. Review: A detailed historical novel about the life of Anne Boleyn from childhood to execution. I especially enjoyed the early chapters where Anne serves a series of European royal women and is mentored by these powerful figures including Margaret of Austria, Regent of the Netherlands and Marguerite of Navarre. 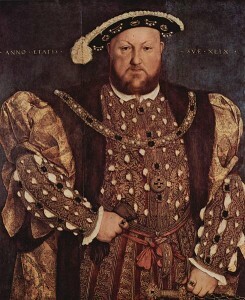 Henry VIII does not begin to pursue Anne until around a quarter of the way through the novel, allowing Anne’s personality as an independent, educated, confident and stylish young woman to be established before she becomes the central figure in “The King’s Great Matter.” The novel also shows the power imbalances between European monarchs such as Henry VIII or Francois I and the young maids-of-honour whom they pursued at their courts. Once Henry begins to seek a divorce from his first wife, Catherine of Aragon, however, the narrative slows down and the courtship and quarrels between Henry and Anne become repetitive. First, they argue numerous times about Cardinal Wolsey, then they argue about Catherine of Aragon and her daughter, Mary. In Weir’s previous novel about Catherine of Aragon, Henry VIII has a variety of interests and political objectives but the king is almost entirely focused on Anne in this novel and therefore seems more one dimensional. The wit, charm and personal magnetism that Anne must have possessed to receive a promise of marriage from the King is also curiously absent from much of the novel. Once Henry and Anne’s marriage begins to break down, the narrative becomes more dramatic and builds to a tragic conclusion. Review: An interesting account of how Tudor England established diplomatic and trade relations with Ivan the Terrible’s Russia. 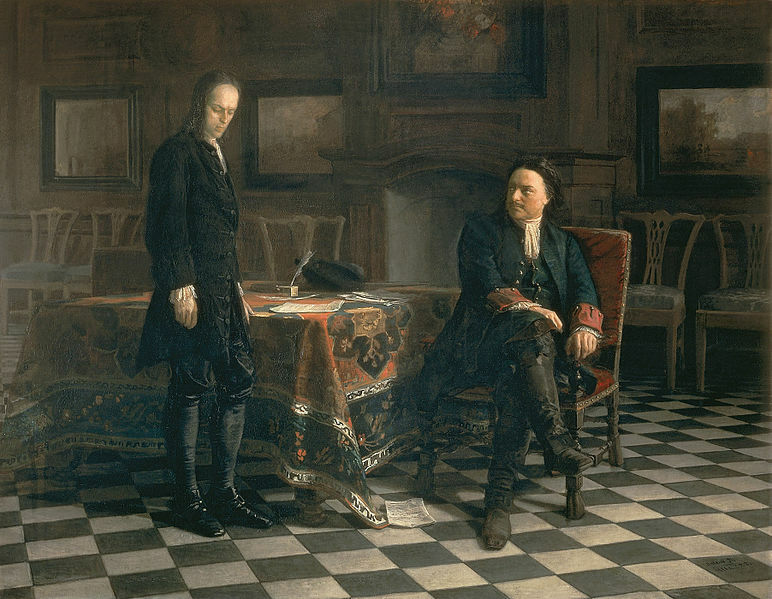 The impressions of the English explorers, traveling by sledge to Moscow and being invited to lavish banquets at the Kremlin were fascinating. I was also interested to read about the founding of the Muscovy Company under the reign of Queen Mary I. I would have preferred that the book follow these developments more closely as there are often digressions about English politics during the expedition to Russia and the history of navigation and seafaring that could be streamlined to focus more closely on the voyage itself. I agree with the author that the search for the northeast passage should be better known as it had a lasting impact on England’s economy. The childhood of Queen Mary I has long been viewed through the perspective of her adolescence and adulthood. As Melita Thomas, observes, Mary was known for centuries as “Bloody Mary” because of the executions of Protestants during her short reign and has recently been rediscovered as “Tragic Mary” because of the devastating impact of the divorce of her parents, King Henry VIII and his first wife, Catherine of Aragon, on her life. As a result, Mary is viewed as her mother’s daughter and the dynastic marriage negotiations of her childhood are often treated as doomed to failure from the beginning. 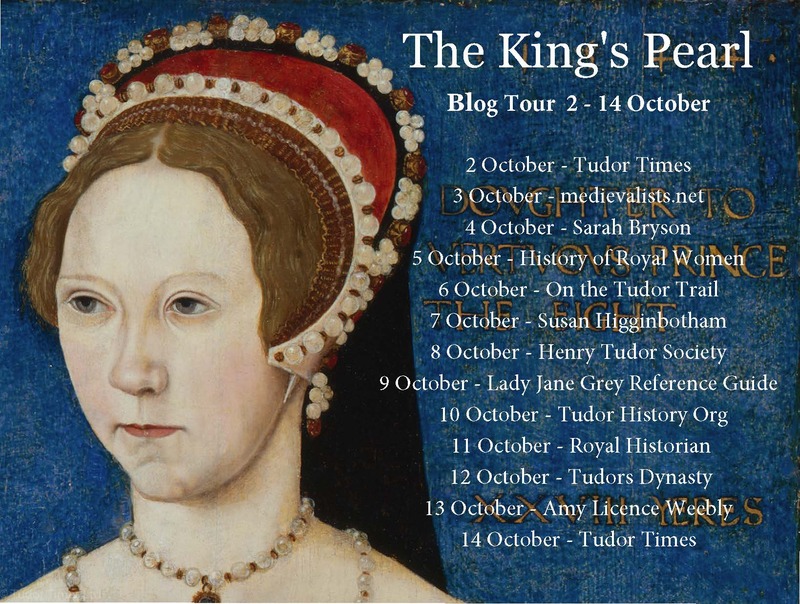 In The King’s Pearl: Henry VIII and His Daughter Mary , Thomas re-evaluates the relationship between Henry VIII and Mary I, emphasizing Mary’s political and personal significance to her father. The dynastic marriage negotiations of Mary’s childhood are taken seriously as Henry attempted to increase his prominence in European politics by securing prestigious marriage for Mary. Henry’s relations with Catherine’s nephew, Holy Roman Emperor Charles V, are particularly well analyzed by Thomas as the prospect of having a grandson who would rule most of Europe seemed to reconcile Henry to the prospect of a female heir. Thomas makes clear that popular opinion within England and the rest of Europe deemed Mary to be Henry’s heir until the birth of a younger brother, despite the efforts of Henry and Anne Boleyn to assert their daughter’s Elizabeth’s seniority in the succession through the Act of Supremacy. After Anne’s execution, there were doubts concerning whether Henry would have subsequent children with his third wife, Jane Seymour. Mary therefore remained politically significant event after she had been declared illegitimate. Thomas devotes less attention to the personal bond between Henry and Mary beyond their shared love of music, gardens and courtly display as well as willingness to take risks to achieve their political ambitions but this imbalance reflects the available source material. There is more evidence of Mary’s personal relations with her successive stepmothers from her antipathy toward Anne Boleyn to her warm friendship with Katherine Parr. Mary’s determination to be an active rather than passive participant in Tudor politics is evident throughout the book. The King’s Pearl: Henry VIII and His Daughter Mary is an interesting and well researched counterpoint to prevailing image of Mary I as a “Bloody” or “Tragic” figure. Like her half-siblings, Elizabeth I and Edward VI, she was a child of Henry VIII and his influence had a lifelong impact on her politics and personality. One of Queen Mary I’s closest friends was her Scottish cousin Lady Margaret Douglas, daughter of King Henry VIII’s sister Margaret Tudor and her second husband Archibald Douglas, 6th Earl of Angus. Margaret Douglas was a prominent figure at the Tudor court during the reigns of Henry VIII, Edward VI, Mary I and Elizabeth I. Through her grandson, King James VI of Scotland/James I of England, she is an ancestor of Queen Elizabeth II. Despite her importance during the sixteenth century and the dramatic circumstances of her life – she was imprisoned in the Tower of London on more than one occasion – Margaret Douglas is little known today. Her long residence at the Tudor court resulted in her being marginalized in histories of sixteenth century Scotland while her Scottish ancestry meant that she received little attention in histories of England during the same period. In So High a Blood: The Story of Margaret Douglas, the Tudor that Time Forgot , Morgan Ring presents Margaret Douglas a strong and adaptable personality, a key figure in the religious and political upheaval of Elizabeth I’s reign and a consummate survivor. Margaret enjoyed the rare ability of reconciling with Henry VIII after incurring his displeasure on more than one occasion because of her romances with members of the Howard family. The exclusion of the Scottish line from Henry VIII’s will, however, suggests that they were in conflict at the time of his death and Ring provides a convincing analysis of these circumstances in her book. During the reign of Elizabeth I, Margaret, a devout Roman Catholic who had enjoyed a close friendship with Mary I, opposed the Queen’s Protestant religious settlement. Margaret also favoured the marriage of her elder son, Lord Darnley, to Mary, Queen of Scots in opposition to Queen Elizabeth I’s wishes. After Darnley’s death, Margaret blamed Mary, Queen of Scots and enjoyed an improved relationship with Elizabeth that lasted until Margaret’s younger son married without the Queen’s permission. As the mother of two sons who survived to adulthood (a circumstance that was rare among the Tudors) and then as the grandmother of the King of Scotland, Margaret was an important political figure throughout Elizabeth I’s reign. Ring restores a little known member of the Tudor dynasty to her rightful place in sixteenth century history.